alfanar Electric, one of Saudi Arabia’s leading manufacturers of electrical construction products, is looking at several fronts to enhance its international business. The company focuses on sustaining its position in existing overseas markets while creating new channels for expanding its global presence by continuously developing new products and enhancing support services. alfanar Group achieved a total turnover of around SR6.8 billion ($1.8 billion) in 2013, with a substantial share coming from its international and overseas markets, and the group is aiming for further growth to become one of the key players competing against the world’s largest companies in the domains of electrical products and power solutions. 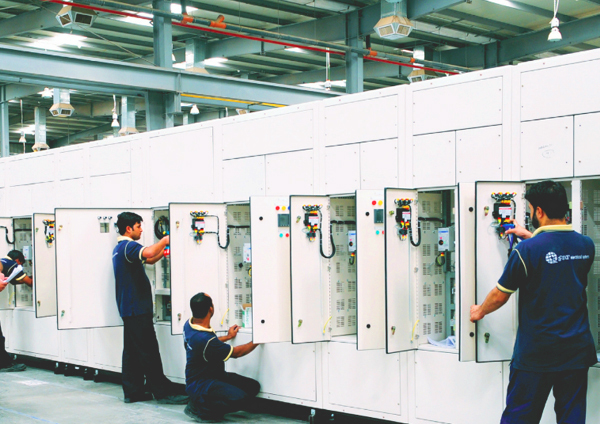 alfanar Electric, the industrial arm of alfanar, manufactures power distribution and control systems including low and medium voltage products, substation automation products and metal enclosures. 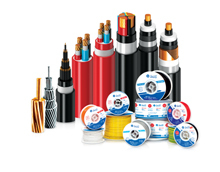 Products in its portfolio also include cables and wires, transformers, substations, switches and sockets in addition to lighting products. The company mainly targets its neighboring markets of GCC, Middle East and North Africa in addition to other markets in Europe, Far East, and Central & West Africa, and it operates different production facilities in Riyadh and Jubail (Saudi Arabia), Dubai (UAE) and London (UK). alfanar also has a development and engineering center in Chennai, South India. Quality and customer trust are the two main characteristics that distinguish alfanar from others. According to Bassam Naes, international sales general manager, customers have a great regard for its products because of high quality, on-time delivery, excellent after-sales service and competitive prices. The company is completely confident of its products quality and offers a “no question” return policy with regards to replacing any product with even the slightest non-conformity to correspond to alfanar’s main objectives of safety, durability and customer satisfaction. It also pays a lot of attention to the tiniest details of optimum utilisation of shipping capacities and top-grade packaging material and designs, which guarantees that all alfanar products are always offered in the best possible condition to ensure efficient operation and durability. On achievements, Naes mentioned that penetrating the African and European markets was among company’s main overseas successes. He also highlighted the success in developing products that meet each market requirements and in securing quality marks from different countries. Alfanar products are all tested as per the highest local and international standards such as IEC, ANSI, ISO, SASO and Kuwaiti Quality Mark and are certified and approved by a diversity of government and private institutions both in Saudi Arabia and overseas in addition to being tested and certified by the most prestigious international third party laboratories (KEMA, CESI, ASTA and IPH). alfanar Electric’s top management all share the same progressive vision of quality and excellence, and has always been supportive in developing and improving the international business by assigning teams for each of the target countries to properly attend to these countries’ special needs and requirements. Market trends and movements are meticulously monitored while keeping an eye on the latest of technology in alfanar’s fields of operation in order to maintain its leading position amongst the top players in the market. The company mainly targets its neighbouring markets of GCC, Middle East and North Africa in addition to other markets in Europe, Far East, and Central & West Africa.